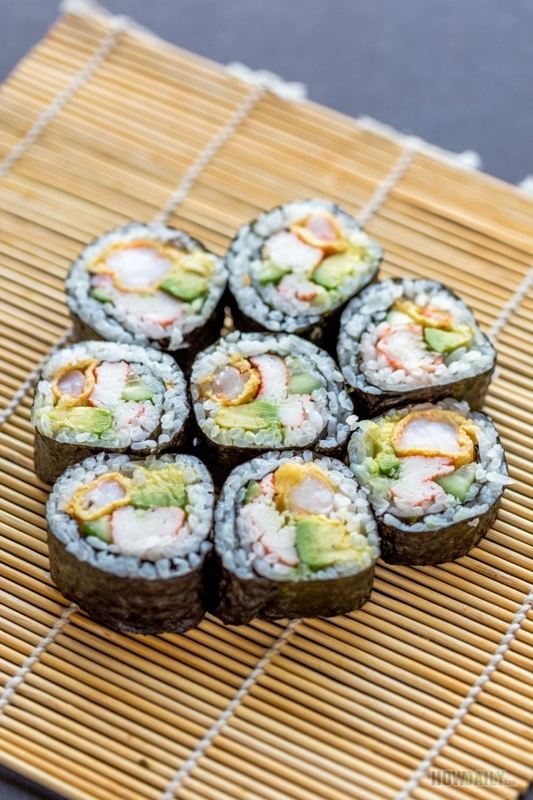 This New Mexico sushi roll is a simple and easy to make sushi that can be served cold, perfect for picnic or large party gathering. The pieces once cut up are great finger food. 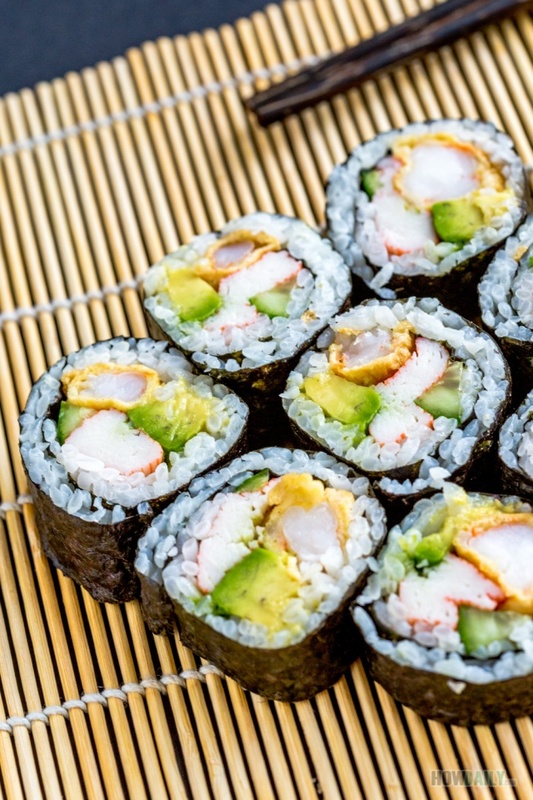 Despite being a sushi roll, every ingredients are cooked and fresh, so no steering away raw seafood. 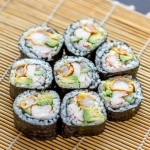 Simply put, New Mexico roll is a variation of the ever popular California roll, to which there are a few differences. One is the use of poach shrimp instead of kani immitation crab. You can choose to use kani here (for bigger appetite) or not. A little piece of jalapeno mix in create the spice and star in this roll. However, if you are rolling for a little kiddo, then skip and replace with mini cucumber slice. Then there are all the same avocado, sushi rice and nori. The rolling is just normal maki rolled way, but you can use uramaki style instead. For more instruction on rolling sushi, visit this article on how to roll maki sushi. 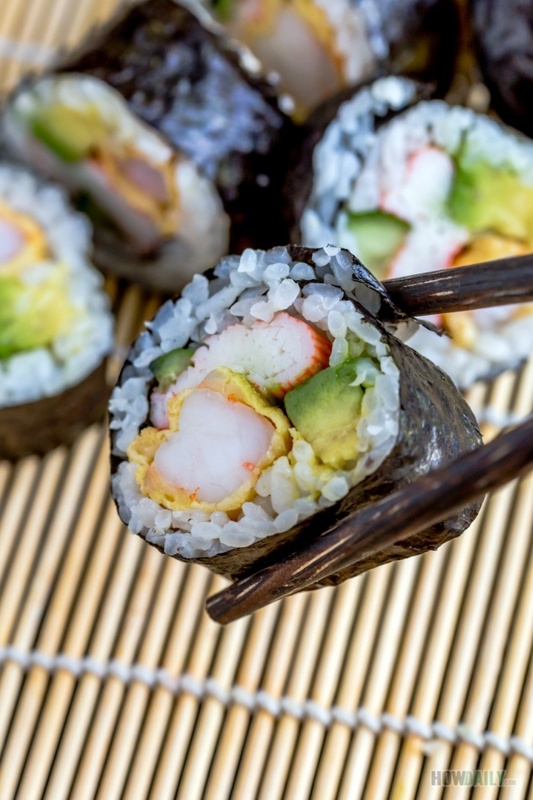 Apart from poach shrimp with require a little bit of frying, everything else is fresh and cold, which is why this roll is perfect fit for packing lunch, snacks or on-the-go. No heating is needed, and all you ever need is a to-go pack of soy sauce to compliment the taste, if not just go bare. Prepare and fry the poach shrimp in Japanese tempura style, see this Japanese tempura recipe for more instruction on shrimp tempura. Slice jalapeno and avocado into thin long strips. 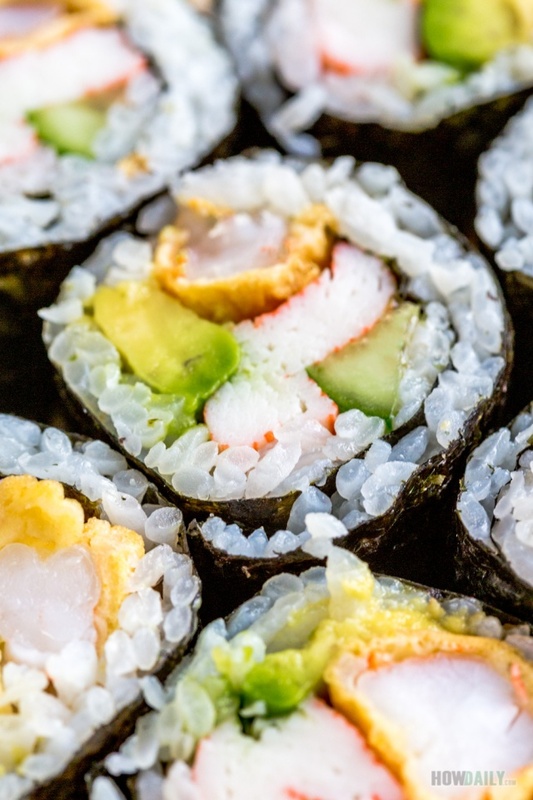 Cook and seasoned your sushi rice, follow this sushi rice recipe if you don't know how. On your bamboo mat, place a nori sheet with texture side up. Wet your fingers with the vinegar-water solution (1:1) , then pluck and spread rice all over the nori surface, leaving about 1/2 inch empty at the very end. Arrange all filling/topping ingredients onto rice layer. Roll and press to shape sushi. Cut into smaller piece and serve.